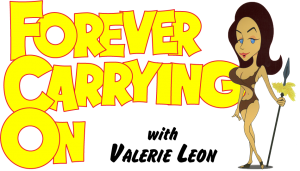 This first public presentation of Forever Carrying On is proudly hosted by Robert Ross as part of his popular series ‘In Conversation With…’ which has just moved from the Museum of Comedy to the Leicester Square Theatre Lounge. 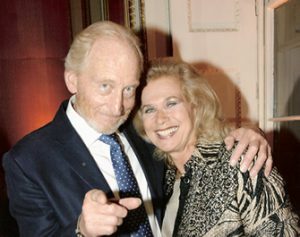 Robert Ross has worked with and written about everyone and everything from the Carry Ons and Monty Python to Last ofthe Summer Wine andThe League of Gentlemen. 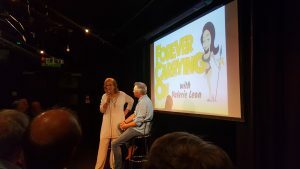 After the tribute Valerie and Robert will Carry On in conversation and both will be taking questions from the audience. 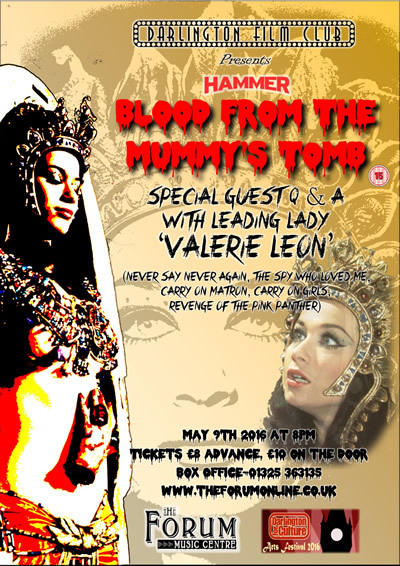 A treat guaranteed to amuse and inform! 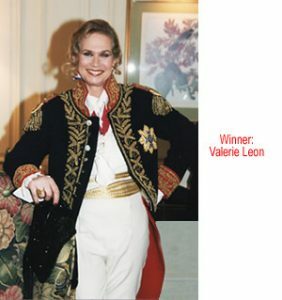 Valerie, winner of the Best Costume Prize at the War and Peace Ball held annually at the Dorchester Hotel, London. 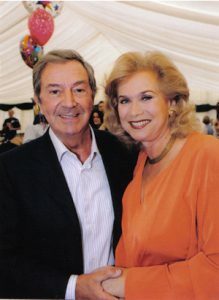 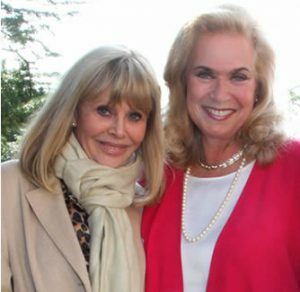 Valerie and Des O’Connor at the annual Childrens Charity party in Battersea Park 2008. 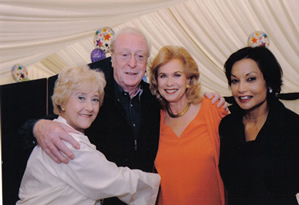 Valerie with Liz Frazer, Michael and Shikira Caine at the annual Childrens Charity party in Battersea Park 2008.